The Best Survival Tools, part 1, details 3 of the most important skills and tool systems that you need to improve your chances of survival in an unplanned emergency wilderness event. I specify the tools that are required to accomplish these three tasks. You can view this blog, the three skills, and the tools they need, in part 1. Here, I recommended carrying a small, 3-meter x 3-meter tarp or similar sized 6-mil heavy duty plastic sheet. The reason for this being, that the Temperate Zone and The Coastal Rain Forest that I travel and spend time in, can get very wet and very cold, … very quickly. Constructing emergency, waterproof shelters from natural materials in this environment is best left experienced professionals that have neglected to bring a piece of waterproof material. Whatever your skill set is, you will be patting yourself on the back if you are in this situation and have this handy item in your backpack. A small, lightweight tarp or heavy plastic sheet is very light to carry and a very useful option to have. To further benefit this waterproof tarp or plastic sheet, I also include rope, twine, and cutting tools. A sturdy, full-tanged knife, a small ax, and a small, rugged wood saw complete the package. The tools in this category are the knife, the ax, a woodcutting saw, and a firestarter. A sharpening stone and a file are a must to maintain these tools. The second part of this fire building kit is the fire-starters themselves. These can include waterproof matches, magnesium fire starters, and ferrocerium rods. This again is very simple. A military style canteen nestled in a stainless steel cup or a Nalgene 1-liter bottle nestled in a stainless steel or titanium pot. The metal pot is a must to boil your water. Boiling your water will disinfect it and make it safe to drink, providing that there are no toxic chemical substances that cannot be destroyed by boiling. At Safe Drinking Water in the Wilderness, I describe water filters and water filtration in greater detail. We have reviewed the first three skills and the tools required for their purpose, now let’s look at three additional skills and the tools that they require. Even though I can be quite unyielding with the importance and position of my first 3 Tools and Skills, I will admit that their position and importance can vary with circumstance. The fourth group is the cutting tools. Cutting Tools were very important to early civilizations and remain even more important to us today. For the purpose of wilderness survival in The Coastal Rain Forest of the Temperate Zone, I am including the Knife, the Ax, and the Saw. A sturdy full tang knife or a good folding knife is an absolute necessity. The Ax and the Saw are always excellent companions to your knife and are necessary when the tasks involve larger pieces of firewood and more intricate woodworking operations. A small Ax and a small Saw are sufficient for three-season use, however, winter travel and work in this environment would be unwise without a larger, long-handled Ax and a more robust Bow-Saw, or even a gas-powered Chain Saw. Nothing is more frustrating and inefficient than dull cutting tools that are poorly maintained. To maintain these tools, you must have whet-stones, and files that are purposed for the tools you carry. No point carrying files that cannot sharpen your saw. Files are purpose specific and do not neglect to have the proper file. Special Chain-Saw Description and Use, NOT Part Of a basic 3-season Kit and definitely not for the uncertified and inexperienced! When carrying a Chain Saw into the bush, it is good practice, to bring an extra chain and chain-oil, a chain file for that chain, an extra spark plug, and a chain-saw wrench. This wrench can tighten the chain, remove and replace the spark plug, and do other useful things. You will also need gasoline, oil, and chain oil, depending on the model of saw you have. Chain Saws are very dangerous tools in untrained hands. Chainsaws are mainly used by working professionals to clear brush or harvest sufficient firewood for winter conditions and cooking. This Cutting Tool is NOT part of this basic survival kit and is only introduced here to emphasize the Dangers of the Winter Cold in this region. The ability to navigate the wilderness successfully is what guarantees your safe return. Navigation is the use of landmarks, elevations and all other geographic features to get you from one place to the other. This is achieved by a very detailed study of the land as you travel over it. A useful technique is to climb high when possible and survey the lay of the land if you have no map of the area. 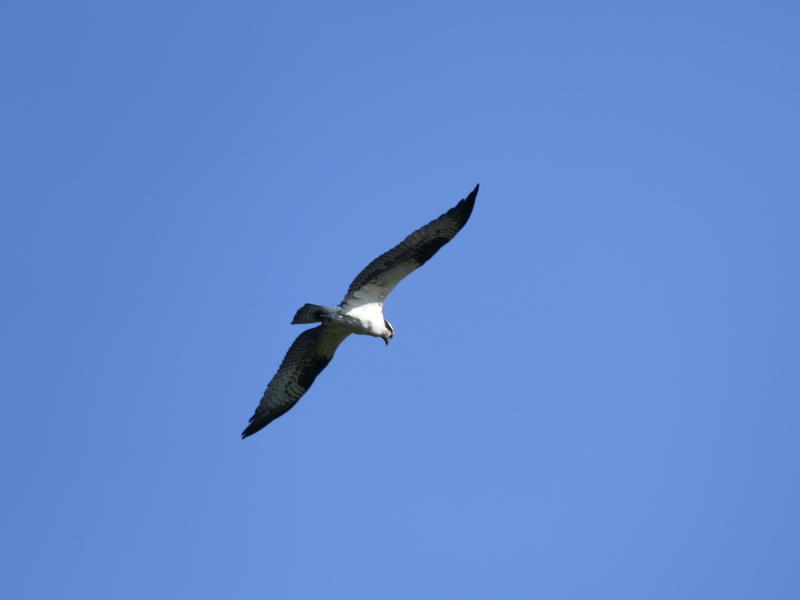 A bird’s-eye view of your territory enables you to lay out a path to your intended location if the area is not overcast, cloudy, or covered in fog. Navigation studies quickly bring out the map and compass. By studying an area before you enter into it, you are able to ascertain its many features. This can be very difficult in foggy or overcast conditions and without a map and compass and any knowledge of the area, it is a sure recipe for disaster if you lack experience and situational awareness. Do not forget to orient your map with Magnetic Declination. This is the variation in degrees from True North. Here, on the Pacific West Coast, this Magnetic Declination varies in an EASTERLY direction. In the lower latitudes, it is in the low 20’s and in the upper latitudes it reaches almost 28° East. The Magnetic Declination varies with location and time. This is a must to consider and is always a feature found on topographic maps along with the degrees of variation per year and the year the map was published. This is so that you are able to ascertain the Magnetic Declination in your area, at the time you are there! The newest tool in modern-day Navigation is the GPS. This is a Global Positioning System based on your Unit sending and receiving signals from a system of satellites that orbit the Earth. These units are battery powered and can be very useful when properly understood. Extra batteries or rechargeable batteries and the ability to recharge them is a must. Do not throw that manual away! All in all, Navigation does NOT need to be complicated. Study the features of the land as you travel over it. Indigenous peoples have been traveling over this planet for thousands of years without compass and GPS assistance. If you are fortunate enough to meet an “oldtimer”, they will often tell you, ” stay on the trails ” … this is because these are “game trails” and the animals that live there – know the best way to get around! First Aid is the ability to repair the human body after it has been injured. This is an extremely important skill to possess and requires an extensive study of the human body and its functions. St. John Ambulance is a well known international and very reputable First Aid training facility. They teach a Level 1, Level 2, and Level 3 system, in my area. The Level 1 course requires 1 day to complete and is valid for one year in some Industrial applications. The knowledge that you receive however stays with you for life. This is certainly a day well spent and provides an introduction to the basics of First Aid. 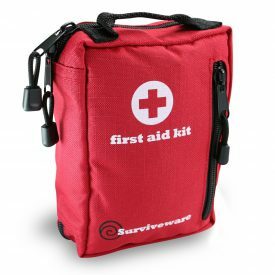 A well stocked First Aid Kit is an essential part of everyone’s equipment and a First Aid manual is an important part of the package. Cutting Tools are always included in any group of survival tools. They belong to their own group but they can benefit many other sets of survival tools. Cutting Tools, Navigation and First Aid complete part 2, and serve to further equip you, as you build this survival toolkit. Your knowledge and practice of these tools and skills will improve your chances to survive the wilderness in good style, and enjoy many years navigating in the wilds of Nature. As you gain more confidence, your fascination with Nature will grow into respect and admiration. Do not be intimidated by all this “know-how” – learn slowly and learn well. This is an exciting world and you are a very important part of it! If you have any comments, questions, or suggestions please do not hesitate to Contact Me. I will do my best to answer them all in a timely manner. good article. I like the focus on necessity. A lot of folks don’t realize how important keeping your gears lightweight is. I also like how you stress the importance of first aide. I agree with that because many times first responders won’t make it to you for a very long time, if ever, because what if there is no cell service? Do you have any advice for communicating in the wilderness or if there is an emergency? Hi John and thanks for stopping by ! 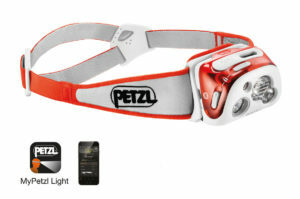 Lightweight , practical gear with multi-functional capabilities is always useful . A knowledge of First Aid cannot be overly emphasized . To communicate an emergency in the wilderness you could use anyone of these 3 devices . 1. SPOT Global Phone … this is a satellite phone that needs a ” phone-plan ” and satellite contact in the field . 2. SPOT Gen 3 Satellite GPS … this is an SOS ” locator beacon ” that will transmit your location and your request for help . 3. DeLorme InReach … this device can send and receive text messages , when paired with your cell phone . ALL these devices Require Batteries ! This is why I carry a small Solar Charger , such as the ” Goal Zero Guide 10 ” to make sure I am always able to charge my batteries . Hope this helps you find a ” communications ” solution for all your wilderness adventures ! Some excellent advice about the tools for kiting up to enter the woods. So far I’ve mainly gone camping in familiar wooded areas, and I still see the full advantage of having everything you have been listing and writing about. I have not ventured into unknown areas of different places that I’m not familiar with yet as I believe you need to be able to rely on the basics like map and compass. I don’t want to put all my faith into electronics like the GPS systems you can now purchase. With more experience, I know I’ll be able to give it a try but for now, I’ll keep learning about having the proper kit and using basic tools when setting out for the woods. This is a very wise strategy Travis . A good knowledge of practical tools will always serve you well . Try to include items that are multi-functional and tough enough to do the job . The study of ” map and compass ” is one that is very useful and also beneficial if you ever decide to introduce ” electronics ” to your kit . GPS devices , however , need a ” clear view of the sky ” and of course … batteries ! Crawl before you walk … is often a good way to avoid danger . Build your kit to the area that you frequent and the activities that you involve yourself in . What part of wilderness survival are you the least comfortable with ? Thanks for dropping by and stay safe !